All AHS students have 3 options for summer school. Use the links below to find out more information and print the needed paperwork. 1. 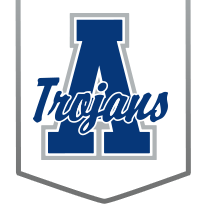 Andover Central- $200 per class and paid online or by check to ANDOVER CENTRAL's front office; English and math courses-- credit recovery only; two hours a day in class at ACHS; dates are May 29-June 27. 2. eCademy-$200 must be paid online or by check to the AHS front office; several classes for credit advancement; online until the final-- final must be taken at eCademy; dates are June 3- July 18. 3. Orion - $175 per class-- but a $25 discount if you enroll BEFORE May 24; all courses offered; online format but help available each day on site at Orion; dates are June 3- June 21. Finals must be taken at Orion. For questions, please contact your school counselor by student last name.